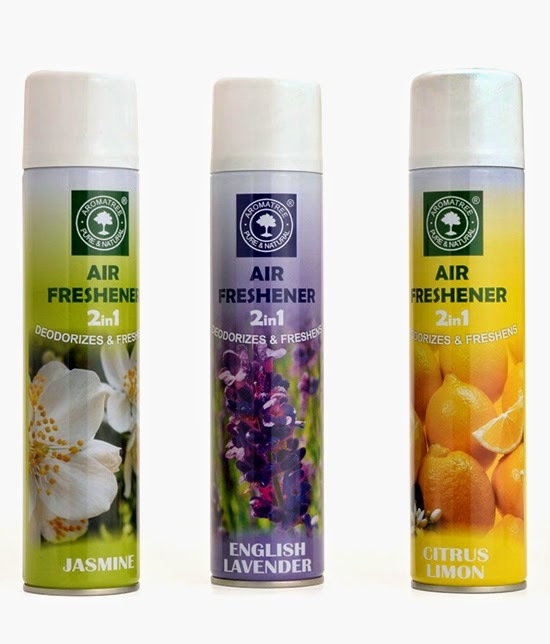 Aromatree's 2 In 1 Air Freshener & Deodorizer Sprays are unique utilitarian sprays that not only fill up your premises with pleasant fragrance buy also eliminates odours and foul smell caused by human habitation, pets, food or food preparation. Perfect for domestic and commercial applications, these air fresheners deodorize and freshen large areas with ease. They are free from ozone depleting substances and are environment friendly. They provide lasting freshness for almost 2 hours in closed rooms. and are most economically priced.